I’ve entered every year since the inaugural launch in 2007. Every year I had a fantastic game idea. Every year I worked really hard on it. Every year I never finished and never submitted. So why am I doing this yet again? Because I want to be part of something. 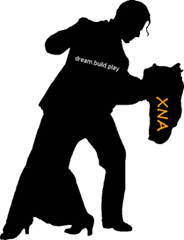 I miss the old XNA community of yore and with lack of announcements regarding XNA at this years GDC I’m not sure how many more dances with an XNA centered Dream Build Play we’ve got left together. That isn’t some prophetic statement filled with hidden messages of doom. I’m not saying I’ve got some kind of inside knowledge you don’t. At the MVP summit we heard the same talks they gave at GDC, so everything I know is public knowledge at this point. It’s just me watching and observing and thinking to myself that if XNA is really fading away then I want to make sure I enjoy these last moments. So I’m entering Dream Build Play one more time and I’d really like you to as well. I want to get pull together what’s left of that once active and vibrant XNA community (and maybe a bit of the old gang that’s disappeared) and get everyone blogging, tweeting and even posting on the forums once again about their Dream Build Play projects. I want to see what everyone is working on and watch videos and see screenshots of some really cool game ideas underway. Doesn’t matter if we don’t finish. Doesn’t matter if our games never see the light of day. I just want to be part of that whole XNA, indie game development community one more time for one more dance. And here’s a forum post on the App Hub forums where I’d love for you to share your game idea, your blog, your YouTube channel, your twitpic stream, your twitter. Wherever you plan to talk about your game and your game development from now until June 12th. Anyone want to dance this dance with me? Comments on this post: Dream Build Play: Do a little dance because it’s dancing time! # re: Dream Build Play: Do a little dance because it’s dancing time! it is not so easy to do it, but I will follow your advice. # Dream Build Play: Do a little dance because it’s dancing time! Dance of my life is simultaneously funny and poignant, a mesmerizing conflation of Carnival's intoxicating life-force. I like hip hop dancing. maybe I should do the same thing! Of all the blogs I have been reading regarding the same subject, this one is actually enlightening. thanks for that.